“Yes, so you want to know more about what Shukri said right?” was Datuk Paul Low’s first sentence. “What was said … that is not the whole truth,” added the former Minister in the Prime Minister’s Department. 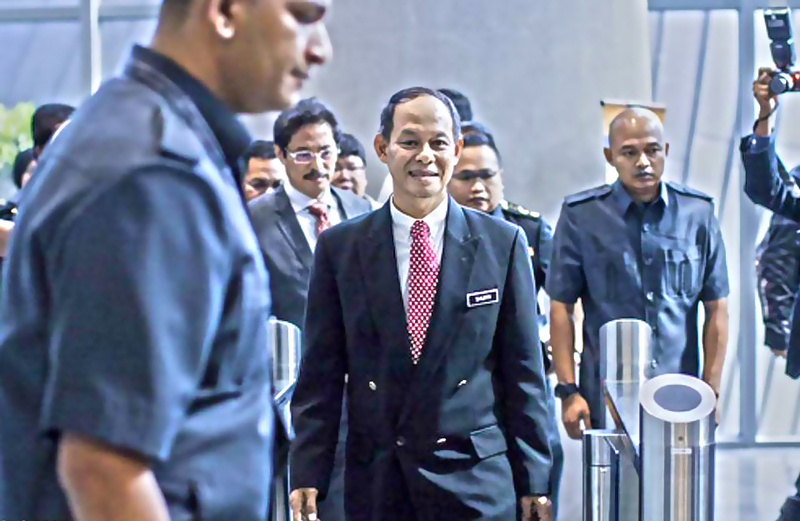 Low was responding to Malaysian Anti-Corruption Commission (MACC) chief commissioner Datuk Seri Mohd Shukri Abdull‘s damning revelations following investigations on the SRC International Sdn Bhd RM42 million financial scandal linked to former Prime Minister Datuk Seri Najib Razak that concluded in 2015. The investigations got heated along the way which led to Shukri, who was then MACC’s No. 2, leaving the country for Washington DC for fear of his safety. Two of his men were transferred to the Prime Minister’s Department. Shukri had in his press conference in Putrajaya this morning revealed he called two former ministers – Low and Datuk Seri Shahidan Kassim – following the transfer of his two men. Shukri admitted to even threatening the minister to release his officials. The two who were transfered in 2015 were special operations director Datuk Bahri Mohd Zin and strategic communications director Datuk Rohaizad Yaakob. Low tells Twentytwo13 his version of what transpired in 2015. So what is the whole truth? Low: I had been dealing with (then) MACC chief commissioner Tan Sri Abu Kassim Mohamed. It was Abu Kassim, and not Shukri who proposed a taskforce to investigate SRC International. I gave Abu Kassim my blessings and told him to go ahead (and form the committee). Functionally they are an independent institution and will act professionally. So I told Abu Kassim to do what he had to do and do what was necessary. Then the attorney-general Tan Sri Abdul Gani PatailGani Patail was told to leave but I still supported the investigation. What about Shukri’s threats demanding the return of his men? Low: The two MACC men were transferred out and an appeal came to me from within … and no, it wasn’t Shukri. I initiated the process to get the officers back to MACC. I was widely reported then as saying MACC officials should be independent of civil service so that there will be no fear of being intimidated or transferred. Shahidan told me about the transfers and said we needed to do something about it and we did. When Shukri returned from Washington DC, I broke protocol by waiting for him to receive him at the airport, to assure him his officers have returned to MACC. Shukri said he met ministers, informing them about Najib and the SRC scandal. Did he meet you? Low: No, he didn’t. If he had met me, I would have told him that he was the investigating officer and would have to do what he had to do. No one is above the law. Has this revelation somehow tainted your reputation as a former minister and former Transparency International-Malaysia president? Low: This is not a hazard. I’m always subject to people’s opinions. I know what he has gone through. I sympathise with him. I know he is quite hurt and the last thing I want to do is to have a debate with him. But he was then the No. 2 and was not aware of the whole process. I’ve always been supportive of MACC’s cause and worked within what was required of me by the previous government. Did I support the taskforce Abu Kassim proposed? Yes. Will you assist the new government? Low: If I’m required. I’m finding a chance to speak to the newly formed Committee of Institutional Reforms. Transformation does not happen overnight. I did what I could within the previous regime and now will continue to do what is required of me under the new regime. Now you are willing to work with the new government, aren’t you afraid of being called a ‘lalang’? Low: I believe you must allow all types of people who speak sensibly to air their views and suggestions … whether from the previous or current regime. Many will talk but they remain armchair critics. If I shy away … if I do that, then I’ll be a coward. This is my principle. I’m not obliged to serve those who criticise me, I’m obliged to serve the nation. 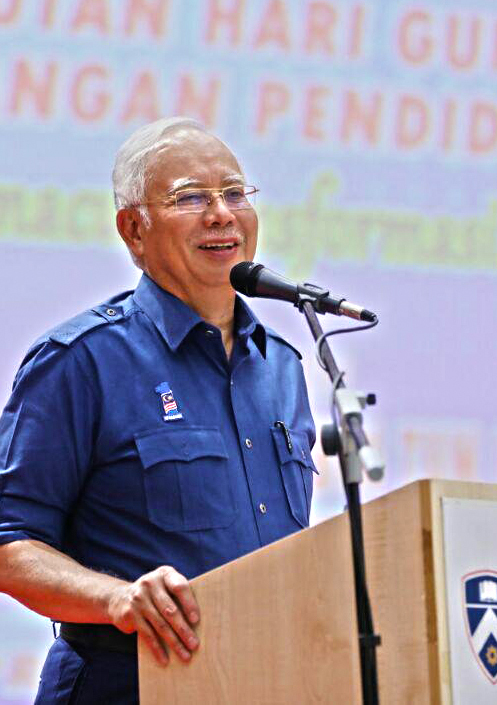 What are your thoughts about Najib? Low: I don’t like to talk about my bosses, good or bad. If I give him credit, I will be accused of being an apple-polisher or that I was bought. If I speak about his weaknesses, then people will say only now I’m trying to be a hero. I have my ethics. But you kept quiet despite many parties claiming there were massive wrongdoings within the system? Low: I aired my views during meetings. I told the Cabinet what I needed to say. The institution is like that and thus you now have a new government changing the institution, the way the system works. It’s okay if people criticise me. I could have quit, become a so-called hero and who knows, be appointed back into the system by the new government. It takes a coward to resign. My task was to reform the system and I did that to my best ability. I chose to stay because I wanted to implement the changes. And there is still unfinished business.